Rising 168 feet above you, St. Mary’s Catholic Church opened in 1912, though the German Catholic parishioners of Saint Mary’s built their first church in Indianapolis 1858. For more than 150 years St. Mary’s parish has been dedicated to serving immigrants throughout the Indianapolis area: Germans, Latvians, Irish, Italians, Filipinos, and Hispanics. 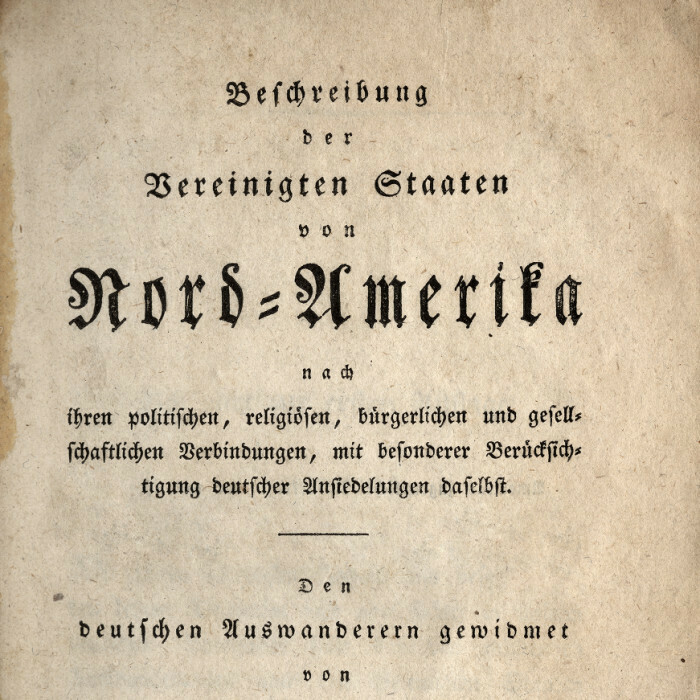 After the failed European revolutions of 1848, immigrants from German-speaking countries began to arrive in Indiana. By 1850, 13% of Indianapolis’ population had come from a German-speaking country, making Germans the largest immigrant group at the time. 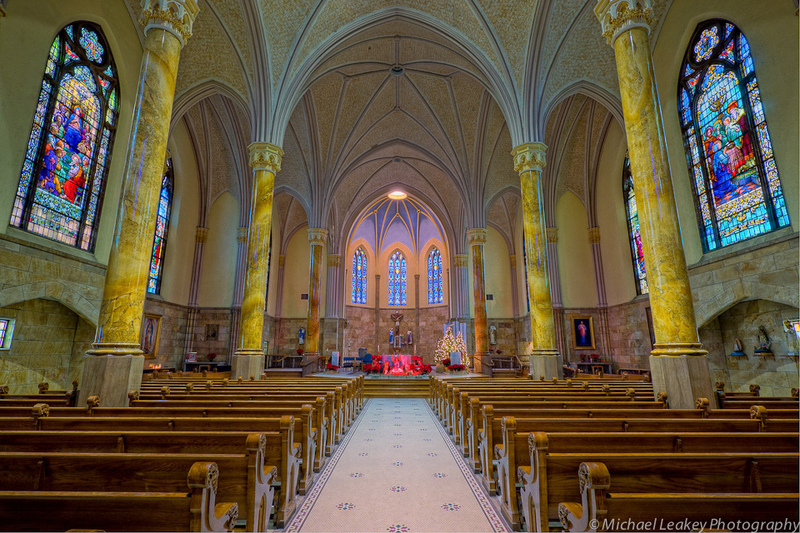 The city’s Catholic community continued to expand during the 1850s, and parish leaders decided that a German-speaking parish and church was necessary for the expanding population of German immigrants that had been attending mass in the Irish St. John’s parish. Under the leadership of Reverend Leonard Brandt (1822-1881), St. Mary’s parish quickly became the nexus of German Catholic life in Indianapolis; a new church, St. Marienkirche, was constructed on east Maryland Street in 1858. 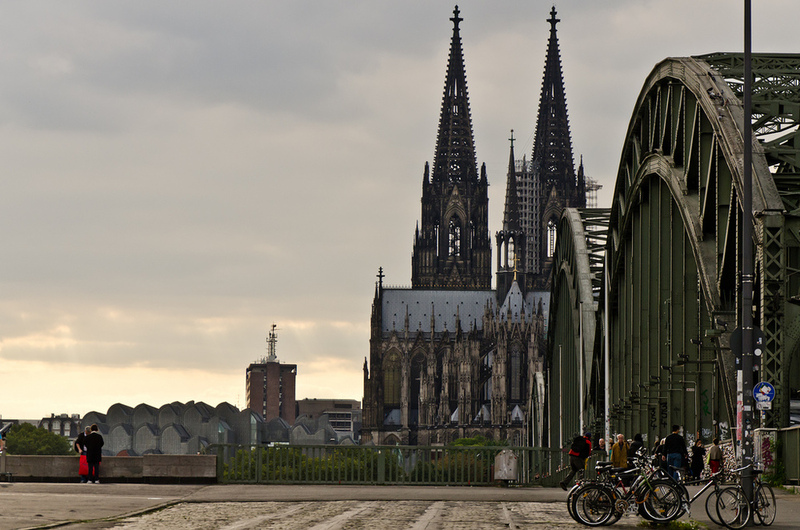 The number of parishioners also increased following a wave of anti-Catholic persecution in Germany during the 1870s. 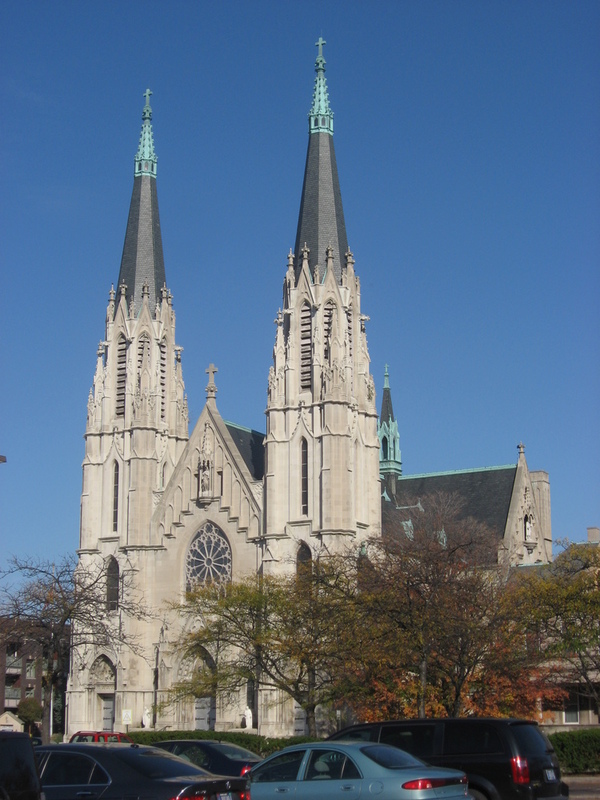 By the late nineteenth century, Indianapolis’s Italian immigrants also began attending St. Mary’s. By the early twentieth century, Reverend Anthony Richard Schiedeler (1836-1918) had addressed many challenges affecting the parish during his 44 years as its priest. The biggest was the construction of a new church building on New Jersey Street, St. Mary’s present-day location. Towards the end of the nineteenth century, the original Maryland Street area had become home to a number of businesses and rail lines, which made the neighborhood inconvenient for mass attendance. Parishioners also began to move outside of central Indianapolis and integrate into the English-speaking community, which further contributed to a declining parish population. Church officials felt that the church needed to move to survive. Construction on the current church began in 1910. Although an effort to revitalize the parish, the relocation was unable to stem the tide of decreasing attendance, especially during World War I as overt displays of German language and culture became taboo in Indianapolis. 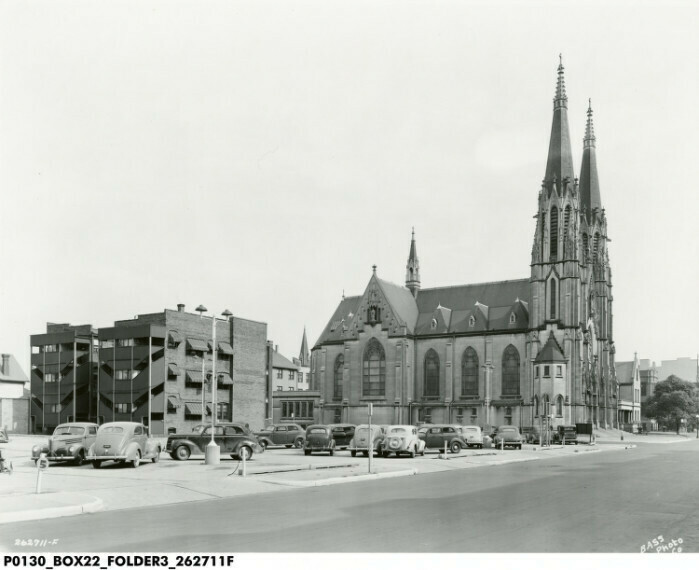 After the war, the parish actively sought new parishioners from other ethnic communities in Indianapolis to move away from the stigma of being the “German” parish. Church membership continued declining until after World War II, when Cuban and Latvian immigrants began attending St. Mary’s. Hispanic parishioners now comprise the largest group of St. Mary’s attendees. The church offers services in Spanish and is one of the centers of Hispanic cultural activity in Indianapolis. As part of its community outreach, St. Mary’s actively supports civil rights for Latino immigrants; the church was a focal point of the 2006 Indianapolis Immigration March, which was organized to protest Congressional efforts at tougher immigration policy. Nicholas K. Johnson, “St. 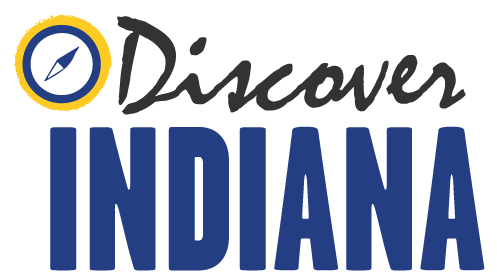 Mary's Catholic Church,” Discover Indiana, accessed April 25, 2019, https://publichistory.iupui.edu/items/show/27.